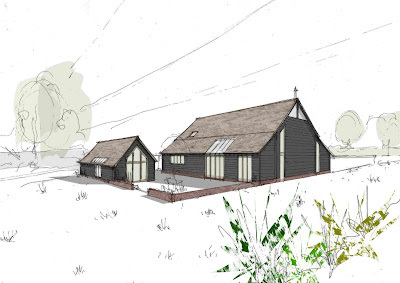 We secured the design for these clients last summer when we met them at one of the Homebuilding and Renovating regional roadshows and are pleased to report we now have formal planning permission. 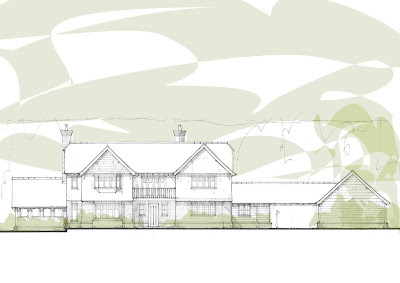 The job consisted of designing 2 detached country style houses on a new development of just 5 plots, exclusively set within a 12′ high original Victorian walled garden with woodland backdrop and set within the grounds of a stately home. As you can imagine, absolute stunning in terms of location but a complete nightmare when it comes to the planning! Well, we got it in the end and everyone is happy. We will get some photos up on the blog once they start building but i get the feeling they are going to be pretty special…! 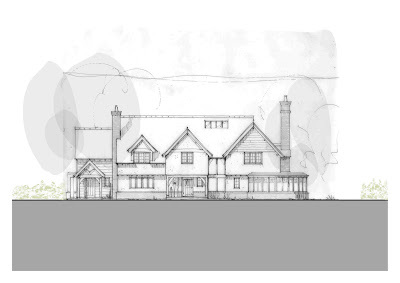 Just finishing up on this design today…..
Its a contemporary take on the classic Norfolk Country House style with Arts and Crafts influenced architecture combined with really exciting contemporary spaces within. We have had good pre-application dialogue with the council on this one so hope that once its submitted, we can get a positive swift response for our clients. ASCOT PROJECT 2010 IS GO…. We have been working on this project for a couple of years now but can at last confirm that we have secured planning permission for this highly prestigious job. The site is just around the corner from Ascot racecourse and is a replacement dwelling providing around 6500 square feet over three floors. The design is based on local vernacular and arts and crafts influences found within the locality. Its going to be a really great project so we will keep you posted with pics etc soon. Timber frame due out on site around August by the way…..
Great news from the Oakwrights team up in Hereford….! 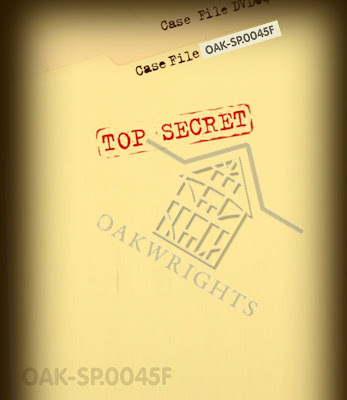 We have recently been commissioned by our good friends up in Hereford oak framing land to undertake some top secret special design projects including new house ranges and conceptual proposals. 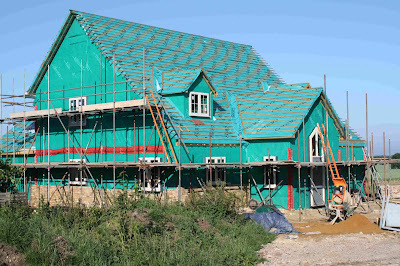 These will focus on the increasing demand for high quality oak framed houses and their committment to the environment through the use of unique build systems. Mid summer 2010 sees our business flourishing and it appears that after all the hard work, i now have the oppportunity to really focus in on dealing with some great clients on really interesting projects. We have had 12 new enquiries in the last 2 weeks which again goes against the trend and this whole “recession thing” which makes us very happy.. 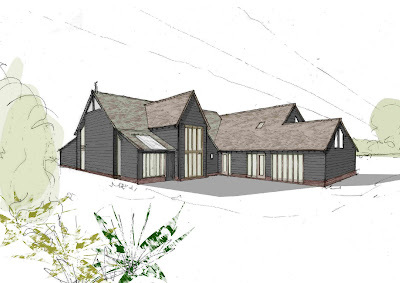 The bespoke design and planning service we offer is based on a very personal approach and not only goes down well with our clients but also with planning officers we deal with around the country. In between the house side of the business, my photography and artwork are beginning to flourish and i have a number of commissions in progress and images for sale as either prints onto canvas or perspex. Check out the Facebook page galleries (PJT Design Ltd) where you can see current architectural and art projects that we are working on. Thanks to all of our clients and customers for your support…. 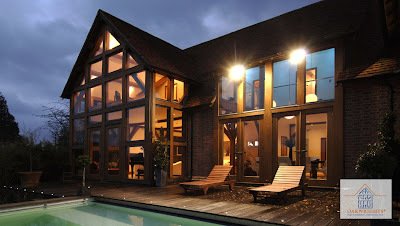 So i meet up with some great new clients this morning for a new house design in Bedfordshire. Great plot of 20 acres with barns and stables already on site and if we get the job its going to be a great opportunity to provide them with their dream home. The site already has planning permission so we could be looking at just change of house type which will simplify the whole planning process. Never did i expect that when i met these potential clients this morning, we would end up chatting about hip hop, The Billionaires Boys Club and champagne parties on luxury yachts! Come and join the PJT Design Ltd Facebook group…. This job is going into planning next week…. Its been a really complex one to get just right but we are all now very happy with the end result.! 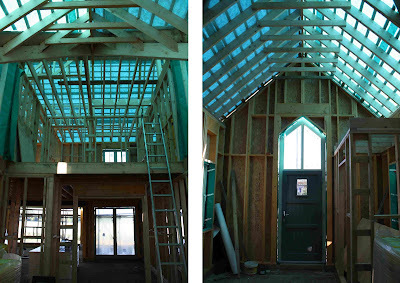 The internal space features lots of vaulted and gallery spaces and will provide our clients with a really refreshing environment in which to live. Some advance warning of not entirely great news from Messrs Cameron and Clegg…. How long it will take for all this to come through the system of course is another matter? I say one simple thing to all of the changes and that is self-builders are a determined and passionate bunch and will find a way of building their own home whatever legislation stands in their way. Bring it on it i say!